I saw this awhile back, thought it was cool, bought it and hung it up on the wall for a few months. I thought this is a good test. I read the instructions when it came and haven’t seen them since. I hope I didn’t toss them out with the trash. Here's a link to it. 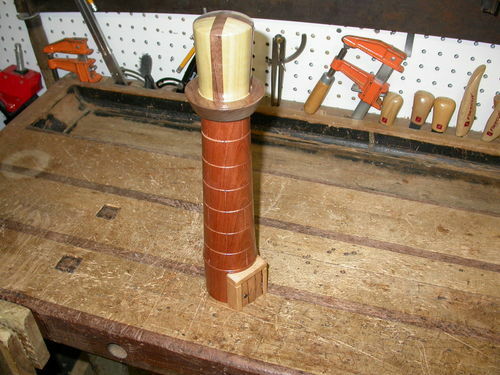 It is available without the router bits. 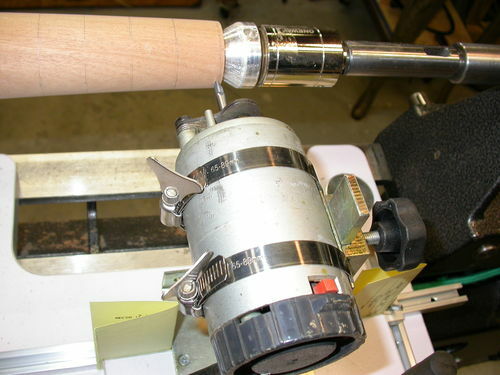 It comes with clamps to fit a mini lathe. I made clamps to use it on this lathe. The jig will adjust in and out for thickness of workpiece by sliding in and out on the clamp bolts. 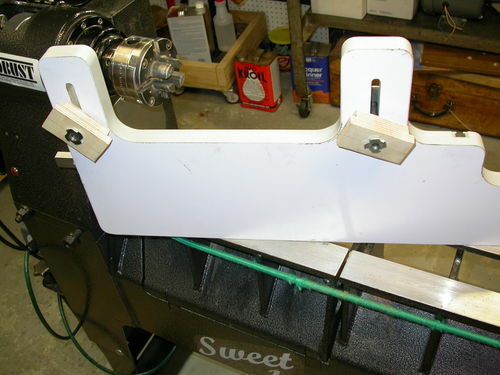 The rail slides on tracks to adjust depth of cut. There are end stops on the rail. 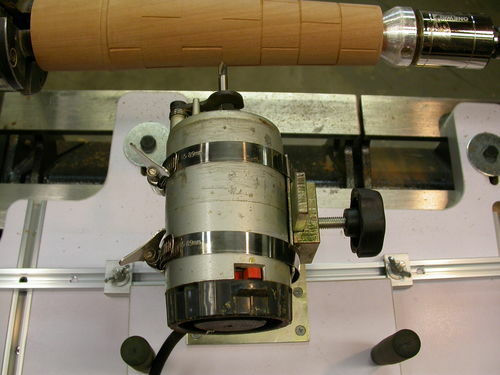 The router base will accept several trim routers. It will adjust up and down. Hold the tool up against the rail and rout between the end stops. 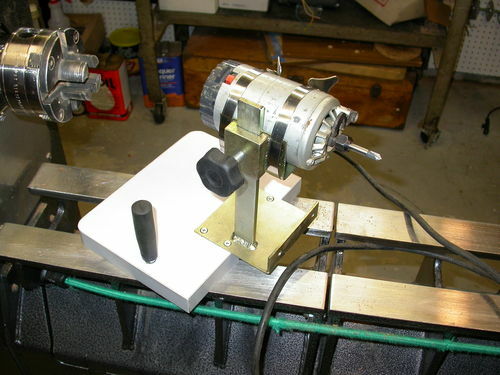 I’m using a $5 yard sale Skil laminate router removed from it’s base. The bit guard is hanging securely on the wall. I know where it is, but I didn’t want it in my way. 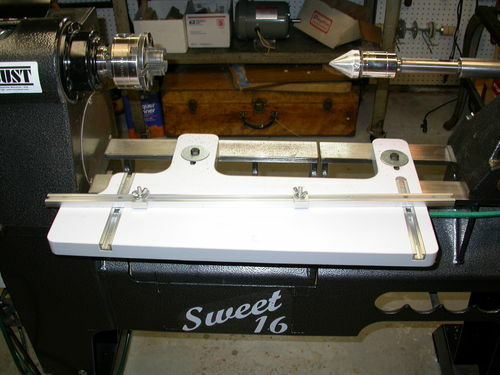 I drew the design to be routed on the workpiece using the lathe index and tool rest. I made the horizontal cuts first. They are vertical on the finished project. 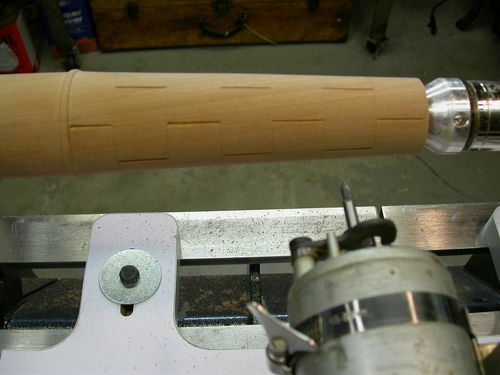 Lock the spindle to make this cut. 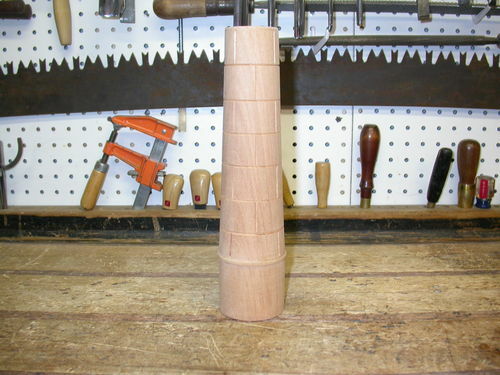 To make the cuts around the diameter, I put the bit on the line and secured the end stops to keep the base from moving. The depth of cut is already set. I rotated the piece to make the cut. I wanted this pepper mill to look as if it’s made from blocks. Close enough for me. It’s a good buy. It does what they say it does. I don’t think I could make it for this price. hairy—Good, concise review. I turned green with envy when I saw your Sweet 16!